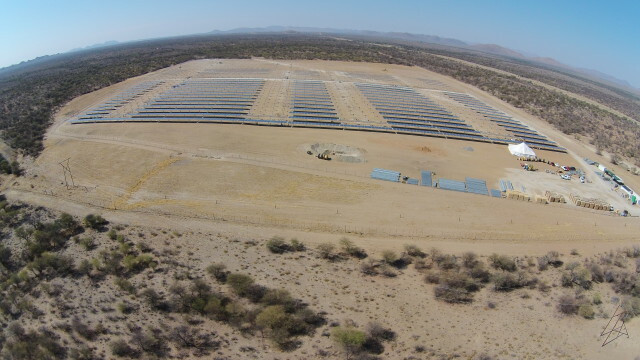 NEC Power& Pumps (Pty) Ltd has been appointed to construct and commission their second Solar PV Park for the French based Company Innosun Energy (Pty) Ltd – the first was the Omburu PV Park near Omaruru – with an aggregate PV capacity of 5 MW. This solar park is a large-scale photovoltaic system (PV system) designed for the supply of clean energy to the regions electricity grid. The site of the park is located at Osona near Okahandja on the way to Gross Barmen. Construction officially started mid March this year and NEC aims to commission the park by 19 August 2017. NEC acts as the main Contractor and will construct the entire park, including civil works and buildings. Completing this photovoltaic project is realized together with NEC’s subcontractors, HR Civils and Alensy and also the local Consulting Engineers GS Fainsinger & Associates. The park is built with 21 600 Trina Solar Poly Crystalline panels on single axis trackers build and supplied by IdeemaTec Deutschland GmbH. In total 30 rows of 360 meters each will be constructed, tracking the sun from sunrise to sunset with the east-west tracking system. 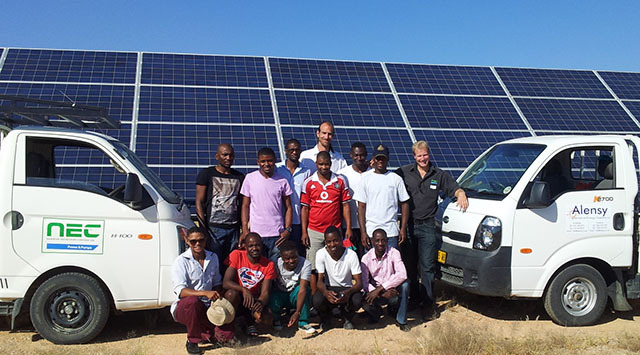 With more projects planned in the near future, NEC’s aim is to develop new solar solutions in the whole of Namibia that will positively affect the lives of our local people.